Euro Food brands are one of the leading distributers for premium food producers and retailers across the world, bringing fine food brands to the UK and Ireland. 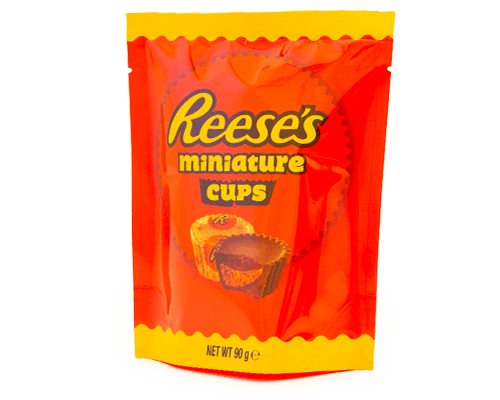 Their impressive portfolio of brand partners includes household names such as Campbells soup, Illy Coffee, Hershey’s and Reese’s Chocolates. Recently, Euro food brands approached us with a specific packaging request and very tight deadline. 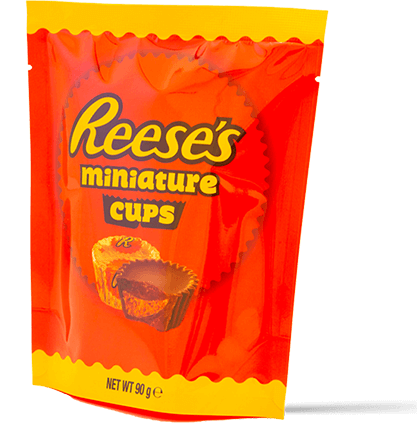 They needed to fill a stock gap for a seasonal range of Reese’s chocolates experienced after an unexpected surge in sales. This filler order had to be the exact spec as their original packaging to ensure that it ran seamlessly through their co-packers existing production line. To ensure a complete consistency throughout their range, we were tasked with colour matching their trademark orange pantone to the CMYK equivalent, something they have had trouble achieving with other suppliers. Digital print was the perfect solution for this particular project as we could produce a small enough run to meet the quantity requirement of the customer and avoid any obsolete packaging waste once the seasonal promotion had finished. Our fast track prototyping and print proof service meant that we could quickly and easily present the client with physical proofs and mock-ups to ensure that they were achieving brand consistency throughout their range. With deadlines looming, our sales and pre-press department got to work creating a range of print proofs that could potentially match the pantone of the packaging design. Once our pre-press department were assured that they were on the right track, the job was sent to press. This particular job was printed on our HP indigo 20,000 digital printing press which operates an approximating system that reads the pantone reference of the job and adjusts the CMYK colour gamete to match as closely as possible. 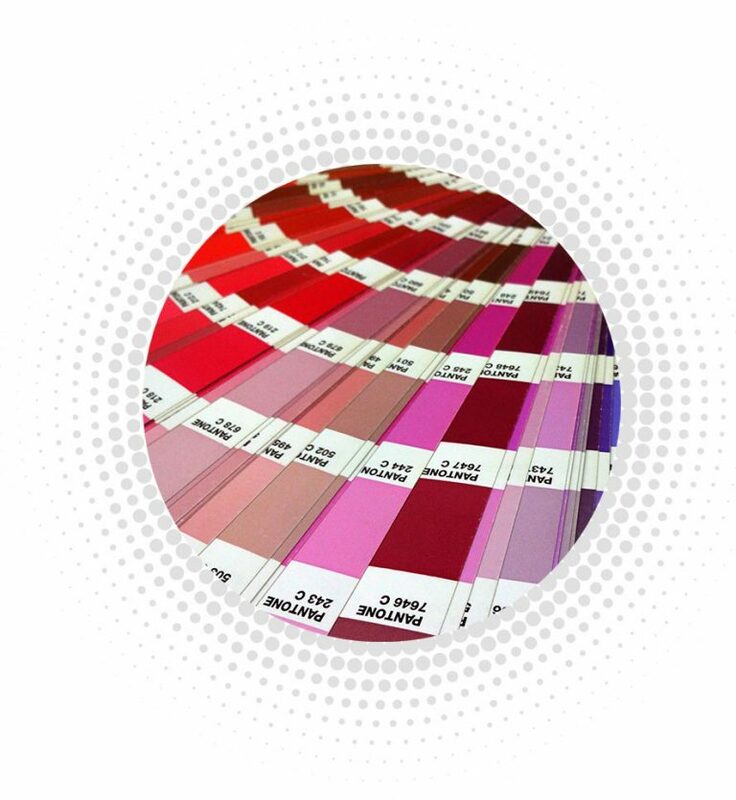 In one run our pre-press department and print press operators were confident that they had achieved a suitable CMYK match to the customers original pantone. This was then saved as a spot colour with the customers reference to avoid unmatched colours during potential future orders. Euro food brands were extremely impressed with how close we got to their original orange pantone and gave immediate sign off for a full production run. Our team of highly skilled operatives printed, laminated, slit and pouch made 50,000 stand up pouches in 8 days and Euro food brands received their stock gap packaging two weeks after their initial enquiry was made. They were so impressed with our packaging quality, levels of communication and speed that they have just placed their second order with us.